Albuquerque, New Mexico is officially recognizing tiny houses (not THOWS [Tiny Houses on Wheels]) as an option for affordable and sustainable living. 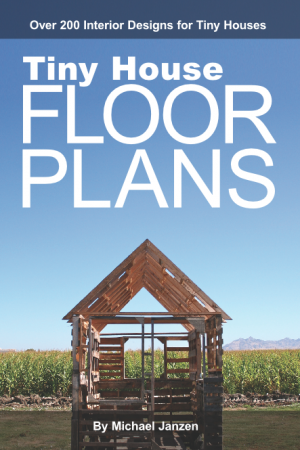 Albuquerque’s Planning Department’s Building Safety Division has published some guidelines so that potential tiny home builders know the specific building codes and regulations that will need to be followed to stay in compliance with the law. Here’s a quick preview, but check their website for the official facts. A tiny home must have one room that is at least 120 square feet – that may also contain a sleeping area and kitchen area. A tiny home must have sanitary facilities (bathroom) with a toilet, sink, bath or shower. The kitchen and bathroom must have hot and cold running water. The home must be on a permanent foundation. An exterior door at least 32″ wide by 78″ high. This is my personal take on Albuquerque; I lived there while going to college. Great town, love the weather and seasons, love the big sky, love the diversity, love the location, and most of all… LOVE the Green Chile. Albuquerque is roughly in the middle New Mexico and is at an elevation of about 5,300 feet. It is surrounded by desert. On the east side are the Sandia Mountains standing at 10,600 feet. On the west side are some ancient volcanos, and to the north – about an hour away – is Santa Fe. It doesn’t get terribly hot in the summer and you’re treated to the occasional sudden monsoon storm. In the winter you might see a sprinkling of snow too. Ski bums will enjoy the skiing at Sandia Peak, above Santa Fe and up in Taos. New Mexico is a state that understands the need and value of alternative architecture too. You’ll find more open minds there in planning departments. For example many homes are made from old-fashion adobe blocks. You’ll find building standards for straw bale construction. You’ll even find homes built from reclaimed tires up in Taos called EarthShips. Now, tiny houses on foundations are good to go too. If any of that sounds good to you, and you want to live tiny, check out Albuquerque. It may be a good destination for those looking for a city friendly to tiny house living. Pictured here is a tiny adobe in New Mexico that’s even smaller than what Albuquerque would approve – but shows how much can be done with so little. The photo was sent to me by the homeowner, Samuel Gray. 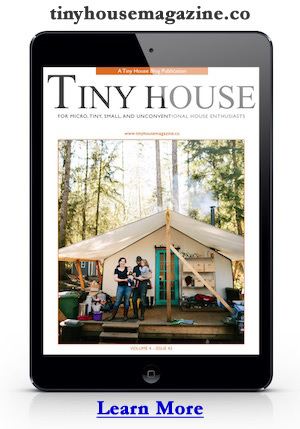 See more of this Tiny Casita at Tiny House Design. This entry was posted in Tiny House and tagged Albuquerque, new mexico, Tiny House Guidelines. Great to see this finally happening in building codes. Hopefully, it will lead to adoption everywhere. Too often, misconception and bias towards the old ‘mobile homes’ concept made it nearly impossible to gain approval for a reasonable, sustainable small home. Thumbs-up! I have long appreciated the building traditions of my home state, where adobe – the use of thermal mass to make houses cool in summer and warm in winter – has been in use for centuries. The beauty of this and earthship technology is that they are LOW-tech, using simple, often on-site materials that are non-toxic, organically beautiful, and use less wood for construction (a real plus in a warming world in which we are losing many of our forests to insect infestation and fire.) There is something very calming about living inside an adobe – made of Mother Earth, the great nurturer of life. I salute Albuquerque, but Santa Fe recognized this elegant, organic, and practical architecture much earlier, intentionally styling the majority of its buildings into adobe or adobe-like structures. It is considered one of the most unique cities in America because of the abundant use of this style of earthen structures.. I have a tiny home currently on wheels. My plan is to buy a lot and then put my tiny home (320 sq. ft including 2 lofts) on a foundation. Would this then qualify my house to be “legal” in or near Albuquerque or any place in NM? I really want to return HOME!